Enhancing the molecular loading capability of layer-by-layer(LbL) method holds high importance in environmental and biomedical application. Here, we reported a strategy to prepare highly loaded poly(acrylic acid)(PAA)/poly(allylamine hydrochloride)(PAH) LbL films by combining the particulate templating strategy and acid treatment film transformation and realized the efficient loading of hydrophilic small molecules. The loaded molecules can be released in a pH-controlled manner. A slow release speed was observed in the acidic solutions with pH value of 3. Abrupt releases were observed at higher pH values(5 or 7). 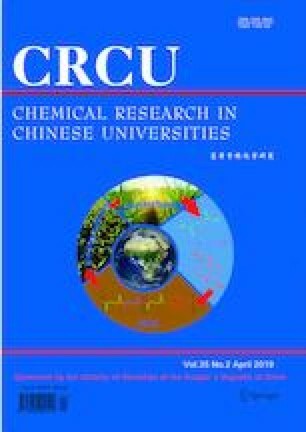 Supported by the National Natural Science Foundation of China(No.21673209), the Fundamental Research Funds for the Central Universities of China(Nos.2652015295, 2652017359) and the Student’s Platform for Innovation and Entrepreneurship Training Program, China(No.201711415036). Supplementary material is available for this article at https://doi.org/10.1007/s40242-019-8203-9 and is accessible for authorized users.